End Products: Flat Brush, Washing Brush. 2 Axes, 2 tufting heads, Cnc Brush Tufting Machine. This Brush Machine is suitable for mass production of flat brushes with filament length within 40mm. It has only the function of tufting filaments. Equipped with two tufting heads, this machine can produce brushes at a high speed thus ensures a high production output. The tufting speed is as high as 1200 tufts/minute. 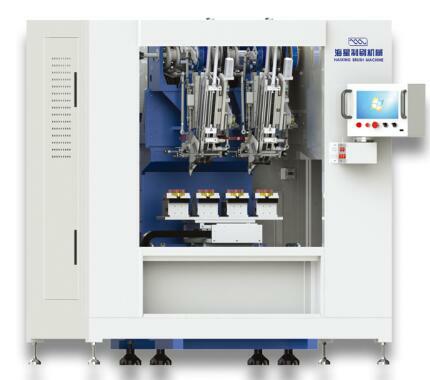 Looking for ideal Automatic Tufting Machine Manufacturer & supplier ? We have a wide selection at great prices to help you get creative. All the Tufting Brush Machine are quality guaranteed. We are China Origin Factory of High Speed Brush Tufting Machine. If you have any question, please feel free to contact us.